"Strong is Vader. Mind what you have learned. Save you it can." 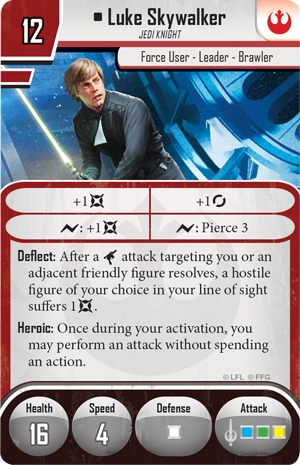 The battles of the Star Wars™ galaxy are full of dramatic action. They explode in blaster fire and thrum to life as Force users ignite their lightsabers. They grip our attention by endangering our favorite heroes. They can surprise us—with twists of fate, noble sacrifices, and grievous wounds to characters we might have thought untouchable. And they can pivot on a single revelation or heroic act. 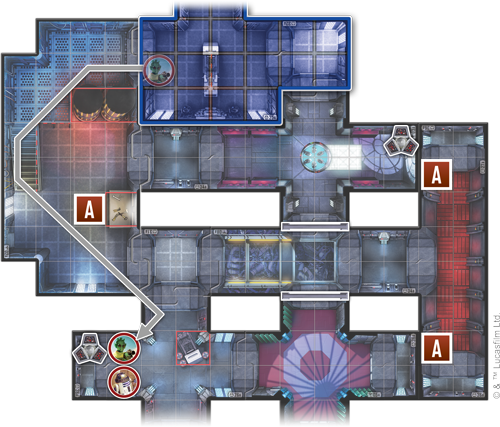 Similarly, the fast-paced skirmishes of Imperial Assault capture our imagination with their drama, action, and surprises. As your army races to engage your opponents', you can never be certain what your dice rolls will yield. You can't predict exactly which command cards you'll draw—or when you'll draw them. 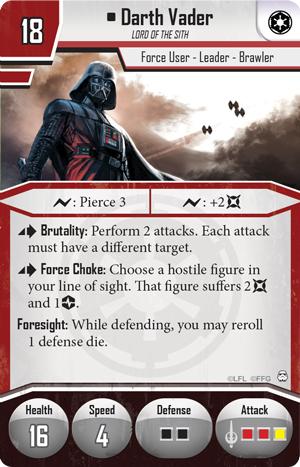 If you're playing in a tournament, there's no telling if you'll find yourself across the battlefield from a Hutt and his bounty hunters or a band of Stormtroopers led by the Dark Lord of the Sith, Darth Vader. No matter who or what you face, however, you don't want to leave things to chance. You can't predict the dice, but you can reach out to the Force and start to steer things into your favor. As it turns out, the game itself is only the culmination of everything you've done to prepare yourself. You've already trained, you've assembled your forces, you've equipped yourself, and now you want to mind all that you have learned. In the heat of battle, remembering the little lessons can save you from grave mistakes. 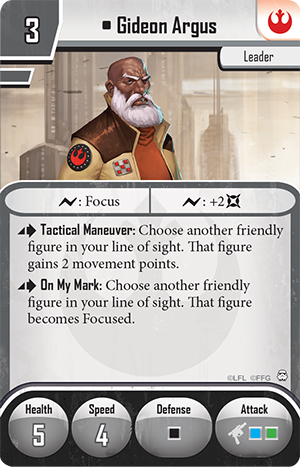 In our Devious Schemes articles, we'll explore some of the tactics and strategies that can lead you toward greater success in your Imperial Assault skirmishes, and we start today with a lesson from the game's greatest Jedi Master, two-time World Champion Daniel Taylor! 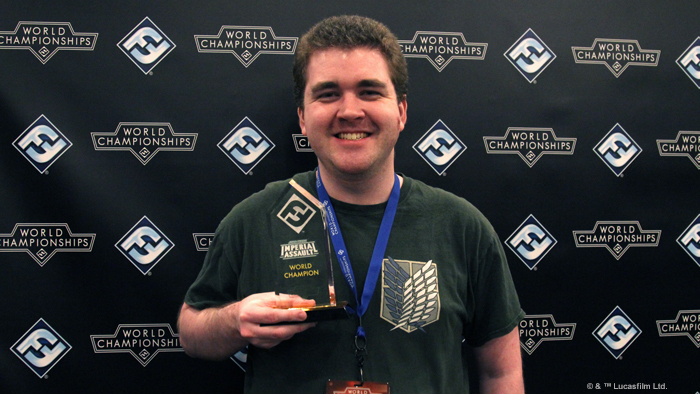 Two-time World Champion Daniel Taylor with his 2017 Championship trophy. 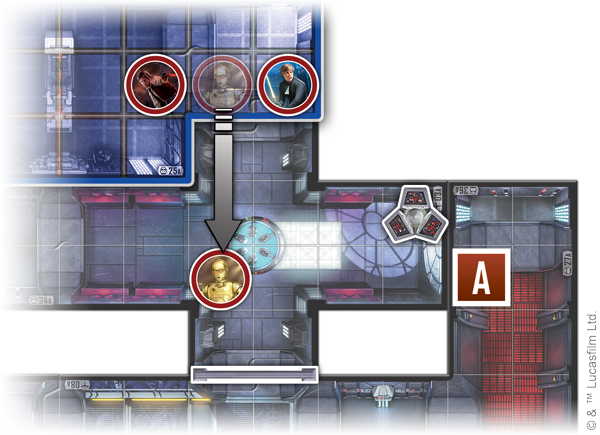 Every round of an Imperial Assault skirmish is filled with many small but important decisions. Who do you activate first? Who do you shoot? Where do you move? Even before you sit down to play, you need to make decisions. The very first decision you’ll have to make is how you'll build your army and your command deck. The topic of list-building is critical and could take up several articles on its own. But this article will focus on strategy during the game, exploring the first decisions you need to make after your sit down at the table. You greeted your opponent and one of you has assembled or laid out the map. If you have Devious Scheme and your opponent doesn’t, or if you are randomly assigned initiative, then it is up to you to choose your deployment zone. This first decision is worth a bit more attention than newer players may give it because it can be crucial to the game’s outcome. The game's maps are definitely not symmetrical. Choosing your deployment zone can be a tough decision, too. Even with all the games I have under my belt, I still struggle at times to decide which side to choose. How many activations does each army have? Are you or your opponent playing long-range snipers? How about mobile figures that can take advantage of difficult terrain? 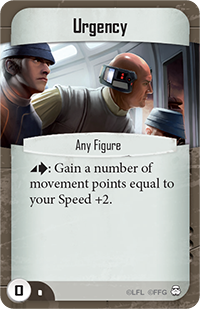 How far can your opponent’s speediest or deadliest figure move, and will that figure gain movement bonuses from Gideon Argus or Imperial Officers ? Are there doors? Are you going to open yours? Will your opponent open them? Where are the terminals, and how exposed are they? What are the map objectives? We haven’t even put a piece on the table, but we’re already loaded with things to think about! All of these questions are really driving towards how the opening round is going to turn out. And how it's going to move into the first full round of combat. You need to have a plan on how you’re going to win before you place your pieces or start moving figures into battle. If you start the game with the initiative, you’re usually going to want to play it safe in round one. Leaving your figures exposed—and seeing them eliminated at the top of the second round—is a surefire way to get behind. 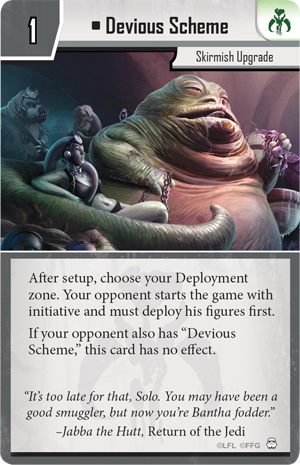 If you don’t have the initiative, but get to choose your deployment zone thanks to Devious Scheme, you can choose a side where you’ll be able to make an early round one play. But watch out for Take Initiative ! Recognizing which player will be able to activate the last unit round one will help you realize where you can safely move your figures. So make sure to check whether you’ll be going last or not and plan accordingly. You don’t want to give up a free shot for no real gains. The objectives might factor into your units' safety as well. For example, consider the To the Stations! mission played on the ISB Headquarters map from the Agent Blaise Villain Pack. 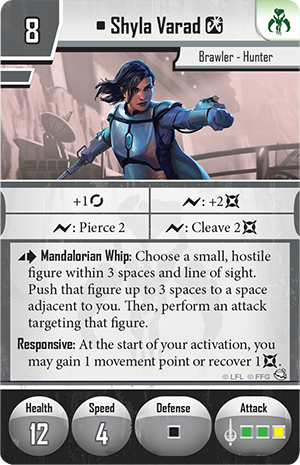 If you deploy on the side where the lone station can see your side’s terminal, you could run into trouble if your opponent’s Shyla Varad or Onar Koma can go last, push your figure out of the way, seize control of the station, and shoot one of your figures with the end-of-round mission effect. The Imperial Officer at the terminal is exposed to the battle station controlled by Onar Koma. If you know that’s coming and you have no way to stop it, you’re better off picking the opposite deployment. 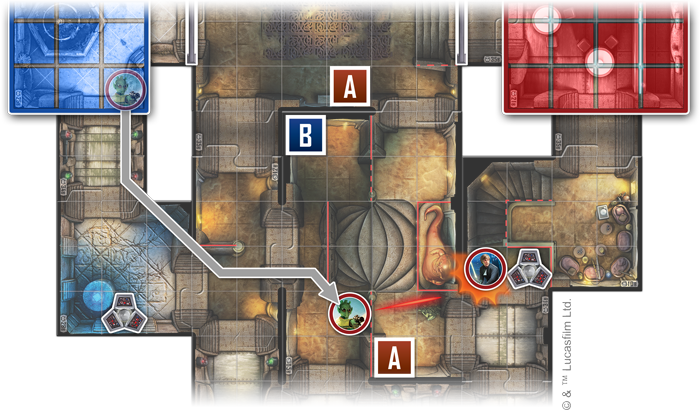 Similarly, the Anchorhead Cantina map from the Obi-Wan Kenobi Ally Pack is a great example of how one side might favor long-range sniping—especially if you're playing the Line of Fire mission and your opponent is on the side with the long hallway with a bunch of snipers and leaves their door closed. 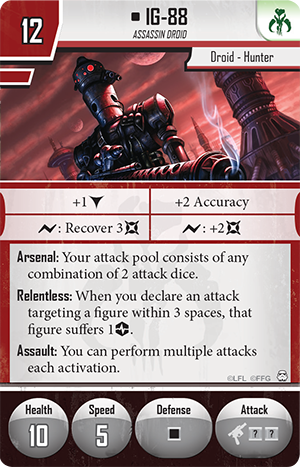 Before you even place your first figure, you have to ask yourself: are you going to have a way to get to your opponent's units and damage them before they start picking you apart with ranged shots from relative safety? You'll encounter these sorts of questions on any map. For example, the newly upgraded IG-88 is always an early threat. With Focused on the Kill and Gideon Argus on his team, he threatens to move a total of nine spaces from his starting point and still be able to shoot at you! 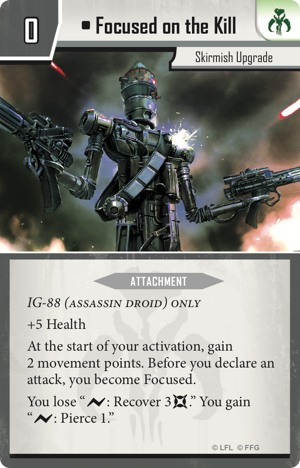 Depending on the map, you might not be able to deny IG-88 a first-round shot simply by picking a specific side, but his threat should definitely factor into your opening moves. Controlling terminals is one of the most important things you can do in a skirmish game. 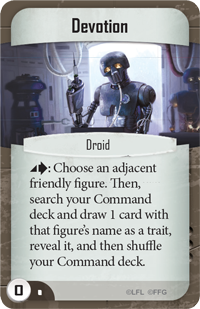 Controlling terminals gets you extra command cards. 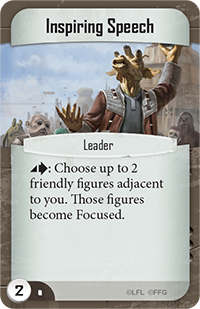 Command cards give you ways to make your activations more effective, and that can tilt the battle in your favor. Depending on the map, the terminals may be close to the deployment zones or kind of far from them. You should know how many spaces each one is away from each deployment zone, as any difference is worth considering as you pick your deployment zone—in case the difference is one you can play to your advantage. Using the ISB Headquarters map as an example once more, did you know that one deployment zone can start a figure exactly ten spaces away from the opponent’s terminal? 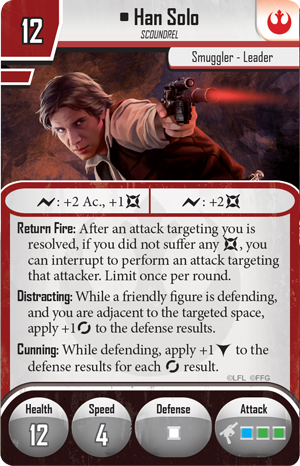 If you have a speedy, expendable figure like Greedo or a Hired Gun , contesting that terminal can be a powerful play. Finally, you can’t pick your deployment zone without first considering the map objectives. Take note of how many points they’re worth and how risky it will be to contest them. Even if you give away a significant number of points from objectives in the first round, you can still win. You want to balance your efforts against the chance to get the jump on your opponent and remove all of their key figures. After you've carefully considered all of those options, your opponent may just assign you a side and initiative with Devious Scheme anyway. Great. Now you’ve reached the next important decision—where to deploy your units. Each deployment zone usually has two to four prime spots. These are the spaces closest to the action. Generally, you want your powerful units to go there so they have the best chance of doing something in round one. You may, however, sometimes consider putting a slow figure like C-3PO up front if he needs to get somewhere to provide a benefit, like moving three spaces to end up one space away from a door, so those who stand next to the door gain his free evade. 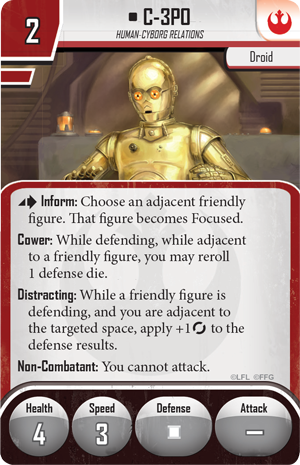 Placing C-3PO at the edge of your deployment zone allows him to use Devotion for either Luke or Han before moving into position to offer them both a free evade once they move next to the door. 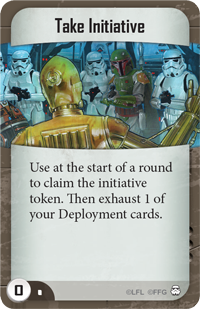 Your list may also have some deployment restrictions imposed on it by the units and command cards that you’re playing. Threepio might need to stand next to Luke to play Devotion and get Son of Skywalker . 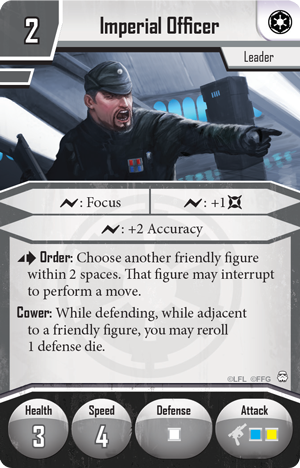 An Imperial Officer might need to deploy next to two figures, so he can focus both with Inspiring Speech and then order someone to move forward. 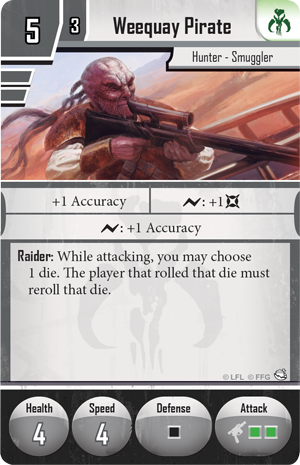 Figures with which you could potentially start shooting in round one should be placed as close as possible to the spaces where they might accomplish that goal. Greedo is great up front, especially on Jabba’s Palace. 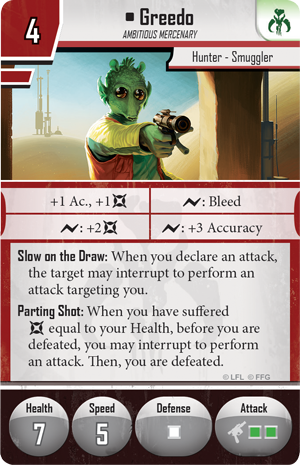 With either Gideon’s movement boost or Urgency , Greedo can sometimes fire off a tricky shot from around a corner, cleverly avoiding any consequences from being Slow on the Draw. 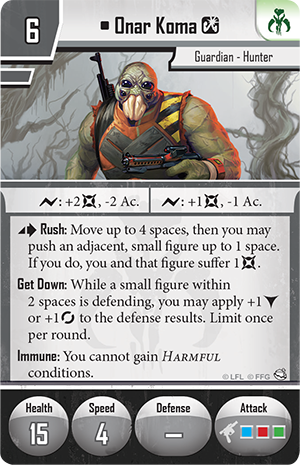 With a boost to his movement from Gideon Argus, Greedo's able to move into position to take a free shot at Luke Skywalker, who has camped out by a terminal. If you plan to open your door and your opponent has long range snipers, you may need to deploy your figures out of line of sight. 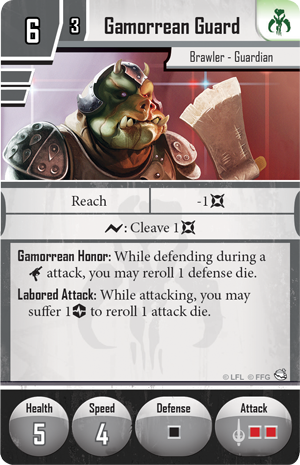 On ISB Headquarters, you might want to have only a door opener and some Gamorrean Guards in those prime deployment squares. After you open the door, and before your opponent has a chance to open theirs and shoot you, you can activate those guards and send them safely to the objectives in the hallway. Now your opponent has no easy shots, and your guards are accomplishing something while also being in a good spot to react next round. 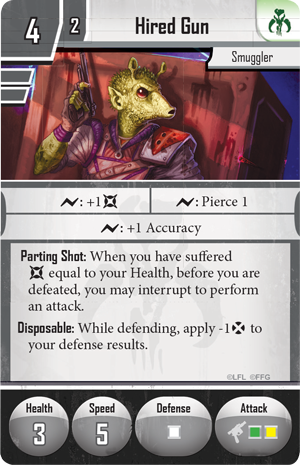 On the other hand, if you also had some Weequay Pirates in view, your opponent might kill one with a focused long range attack. 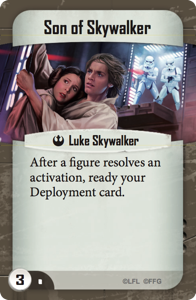 My last piece of advice regarding setup is to plan ahead of time roughly how you’ll set up your figures in each possible deployment zone from the available tournament scenarios. These theoretical deployments don’t have to be exact, as you may want to modify things depending on your opponent's army and choices, but planning your main deployment in advance will save you time, stress, and mistakes. Then, once you’ve placed your units and drawn some cards, it’s finally time to play. If you regret your placement choices immediately after drawing your cards or during the first exchanges of fire, well, that’s something to remember for next time!